The Zulu people are an ethnic group whose members live mainly in the South African province of KwaZulu-Natal, where their culture, language, and tradition are preserved. Zulu beadwork is not only beautiful, but is also rich in tradition and cultural meaning. What makes this intricate craft and art unique is the use of decorative geometrical designs, particularly the triangle, and colors to convey a message. Each of the seven colors can be used to convey a negative or a positive meaning. For example, yellow means wealth in a positive context, but badness in a negative one. Red means physical love and strong emotion, but negatively it depicts anger and heartache. The craft itself forms a language devoted entirely to the expression of ideas and feelings related to relations between the sexes. Beadwork is practiced by Zulu women and is passed down through generations by the older women in the family. They become communities of their own and are empowered by their skill and contributions to their communities. Most of the women who bead for Thanda Zulu have struggled for most of their lives to earn a sufficient income that will allow them to support themselves and their families. They didn't believe they would be able to earn an income through a craft they loved, were skilled at, and could do from the comfort of their own homes. Over the years, Thanda Zulu has worked to cultivate confidence in these women as artists, not just beaders. We work with each beader's skill set to encourage them to extend beyond their creative boundaries and move our designs forward. Our beaders have a tremendous amount of pride in their work and are continually inspired to develop and adapt new designs with their own personal touches. A sense of empowerment is felt through their ability to translate this long-standing craft into a way to support themselves and their families. Our vested interest in the early development of children is an essential part of our goal to inspire healthy, engaged, and civic-minded adults. Age-appropriate activities are planned in accordance with the six Early Learning and Development Areas of the National Curriculum Framework, but our approach to education is undoubtedly one of our key differentiators – creativity and skills are prized above knowledge and right answers, and children are encouraged to be imaginative and have fun. Our model makes use of local resources: sessions take place in empty classrooms and local youth are trained to become educational facilitators. At the start of every after-school session, children are given a nutritious meal prepared by our cooks at our sustainable Community Centre. With Thanda, learning is fun. We approach education by looking at thematic elements from philosophers such as Plato, artists such as Ai Weiwei, and superheroes such as Ironman as a lens for analyzing traditional belief systems, cultural identities, and active citizenship. Our Creative Learning Curriculum is built around stories, which are used to broaden horizons, make lateral connections across subject areas, link global issues to the local community, and cultivate five essential skills: self-esteem, critical thinking, empathy, rebelliousness, and creativity. Our Organic Farming Program is reducing food insecurity & malnutrition, building self-reliance among cash-dependent communities, and encouraging local enterprise development. We provide many resources to our farmers, including self-empowerment workshops, which shift mindsets from feelings of dependency to empowerment by encouraging each farmer to see his/her potential. We train and mentor our farmers to develop the technical skills necessary to start & maintain an organic farm, and provides assistance on setting up a small business enterprise. Our infrastructure development efforts establish fencing and sustainable irrigation solutions at each farm to prevent crop devastation from drought or wild animals. And our guaranteed market gives farmers the option to sell their produce to Thanda, which is used in our Feeding Program and/or sold to retailers. 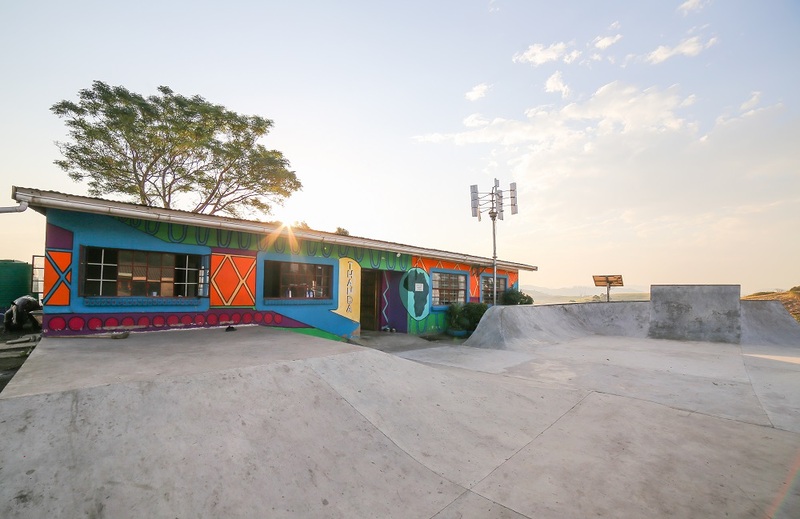 The NIVEA Thanda Community Centre is a safe place where children are free to be themselves and where they can learn, play and explore. It’s home to the only science lab, library, skate park and art centre in the municipality, and it’s powered by solar energy. Our cooks prepare hearty lunches for the children in our ECD and After-school Programmes every school day. That’s about 780 meals, five days, every week. Our on-site veggie garden gives children an opportunity to learn how to grow their own vegetables – teaching them responsibility and self-reliance. But most importantly, it’s a place where children and youth in our community can feel at home. 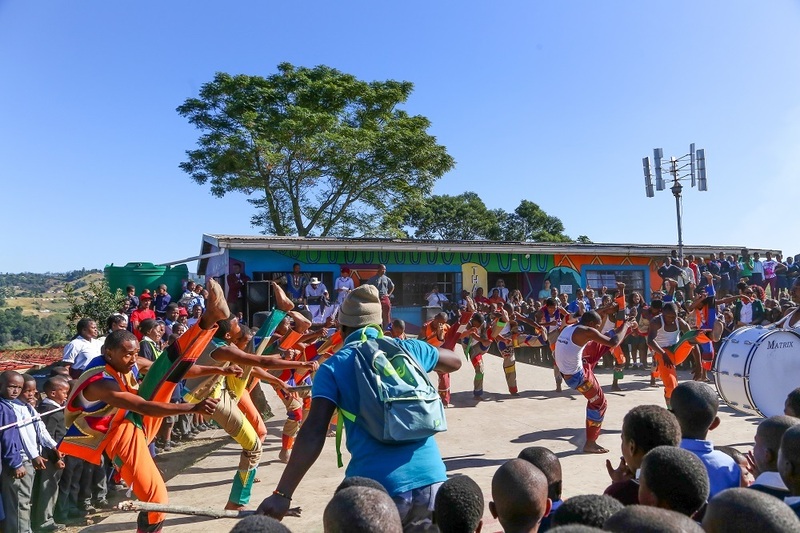 Last year, we had over 4,000 visits to the NIVEA Thanda Community Centre – and that’s just on holidays and weekends. SINCE 2008, THANDA'S INNOVATIVE PROGRAMS AND SUSTAINABLE INITIATIVES HAVE DIRECTLY IMPACTED OVER 15,000 PEOPLE.